Abstract: Metamaterials are composite structures which exhibit unique properties that are commonly not found in nature. A special class of these materials is Negative index metamaterials (NIMs) which have gained considerable attention in the recent years due to their distinctive properties and possibilities for novel applications. These materials simultaneously contain negative permittivity (e), and permeability (m), within the same frequency range, and consequently, a negative index of refraction. Electromagnetic waves traveling through NIMs form a left-handed system as opposed to the conventional right-handed system and lead to interesting consequences including the reversal of the Doppler Effect and Snell’s Law. In this talk, the research efforts of the speaker in the area of metamaterials from the microwave to the optical regime will be discussed. Details of the theoretical design, fabrication, and validation will be provided. Firstly, the potential applications in the microwave regime, including impact of metamaterials on the miniaturization and bandwidth of antennas will be discussed. Then, efforts in the design and fabrication of THz metamaterials will be presented. Finally, the extension of these metamaterials to the optical regime will be shown. There are many difficulties producing NIMs in the optical regime due to losses and difficulties in fabrication. Novel designs for optical negative index metamaterials, development of an optical test-bench for validation and characterization of these materials and the applications in the optical regime, including optical filters and phase conjugators will be provided. Biography: Alkim Akyurtlu received the B.S. degree in electrical engineering from the Virginia Polytechnic Institute and State University, Blacksburg, in 1994, and the M.S. and Ph.D. degrees in electrical engineering from The Pennsylvania State University (Penn State), University Park, PA, in 1996 and 2001, respectively. 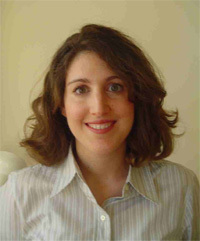 In 2002, she joined the Department of Electrical and Computer Engineering at University of Massachusetts Lowell (UML), Lowell, MA, where she is an Assistant Professor and Deputy Director of the Center for Electromagnetic Materials and Optical Systems. Her research interests are in computational electromagnetics with emphasis on modeling of electromagnetic wave interaction with metamaterials and complex media, including chiral materials, antennas, and micro- and nano-scale devices. Prior to coming to UML, Prof. Akyurtlu worked at MIT Lincoln Laboratory with the Systems and Analysis Group as a Technical Specialist conducting research on electromagnetic modeling and statistical analysis of radar systems. She was a Summer Faculty Fellow at the Air Force Research Laboratory, Hanscom Air Force Base, MA, in the summer of 2004 and at the NASA Langley Research Center in the summer of 2003, where she received the Best Faculty Fellow Paper Award. She was awarded the Outstanding Teaching Award in the Electrical Engineering Department for the 2002-2003 Academic year at UML. Prof. Akyurtlu was an Academic Computing Fellow at Penn State. She was a recipient of the Best Student Paper Award at the 2000 Applied Computational Electromagnetics Society Symposium. Prof. Akyurtlu is a member of Tau Beta Pi, IEEE Antennas and Propagation and IEEE Microwave Theory and Techniques Societies, and an Editor for the IEEE Antennas and Transactions Magazine.